th Open staged at Royal Troon last year. The R&A has provided half of the £38,000 available to local community groups for an interactive funding decision day. 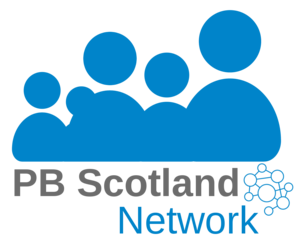 The event, on Saturday 25 February, is part of a new way to encourage people to get actively involved in local decision making known as 'Participatory Budgeting'. South Ayrshire Council and the Troon Locality Planning Group is inviting people, aged 12+, from Troon, Muirhead, Barassie, Loans and Dundonald to get involved and register to vote. 36 community groups will be pitching to an audience of local people about their proposal and how it will benefit the community. After all the pitches have been heard, the audience will vote to decide which groups should receive funding. Groups can be funded up to £3,000 for use in local projects, four times the amount at the last event in June 2016. The money was made available from South Ayrshire Council, The R&A, Scottish Government, and The Big Lottery Fund. Johnnie Cole-Hamilton, Executive Director – Championships at The R&A, said, "We're proud to be supporting South Ayrshire Council's participatory budgeting event in Troon and the groups that are bidding for funding. "This is a great opportunity to leave a lasting legacy in the local communities in which The Open is staged." The 'Decision Day' event takes place at Troon Walker Hall on Saturday 25 February between 11:00am and 2:30pm. Anyone wishing to vote must register between 10:00 and 11:00am.